We will be testing our 1k in three weeks to see if we’re progressing and push ourselves. Today’s focus is executing a 1k race plan at high intensity. Set the monitor for intervals distance with 250m of Work and 1 minute of Rest. 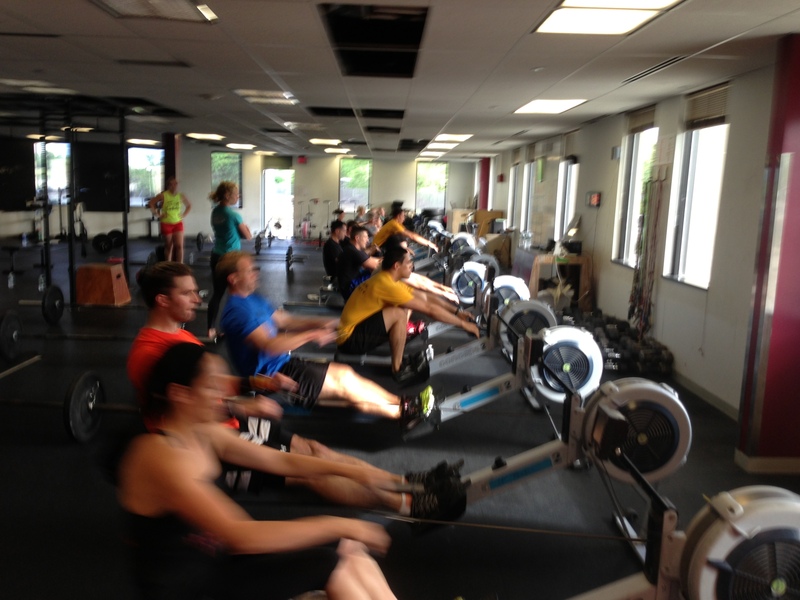 Row every piece just as you would during your 1k. Get off to a good start and settle on the first one. Stay consistent from pieces 2 − 4. Fight for that split on pieces 5-7. Bring it home in the last 250m. This should not be an all out 250m Max Effort, but rather a calculated effort at a split close to what you think your current 1k split would be. The goal should be to pull the lowest split possible, consistently through all 10 intervals. For example: alternating between splits of 1:50 and 2:00 is inefficient. Instead consistently pull 1:55 every interval. Use the mental cues and fixes you practiced in yesterday’s 10k to be positive and attack! You want to be in control of your 1k, embrace the pain, and enjoy the glory. It all starts here. Here’s to a fun three weeks of training. Do it! Post your Splits and Thoughts to comments. This entry was posted in Rowing and tagged exercise, functional movements, mental toughness, new sport, rowing, sports, training by Renegade Rowing. Bookmark the permalink. Didn’t read the instructions well but got in a good workout. Not bad regardless Chris. Way to get after it on the last piece.